If you love headbands and are looking for a more intricate stitch to try, this gorgeous Criss Cross Diamonds headband has got you covered. 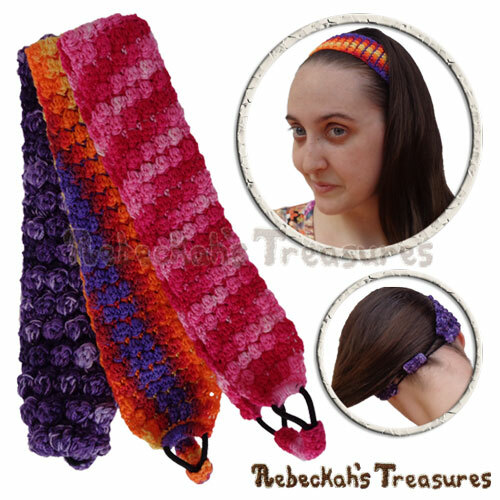 Purchase this pattern + another fully adjustable headband pattern and get the third pattern completely FREE of charge - NO CODE REQUIRED - simply add ALL 3 to your cart and see the discount apply! *You can purchase ONE-AT-A-TIME. Just make sure you are signed into your Ravelry Account at time of purchases. This PDF formatted crochet pattern has 10 pages (1.26MB), including a cover page. It uses US Terms. 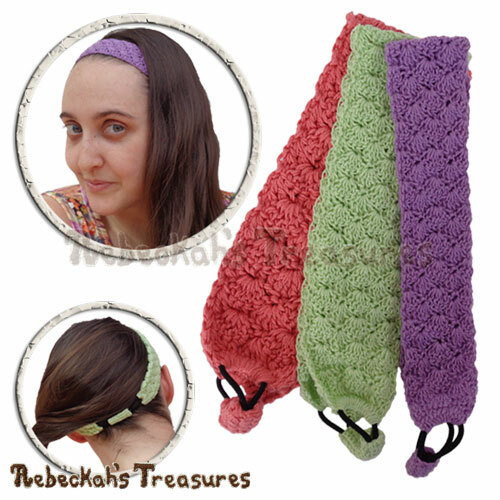 These adjustable shells headbands are designed in a way that they can be made to fit all sizes from a little doll and newborn to a fully grown adult!